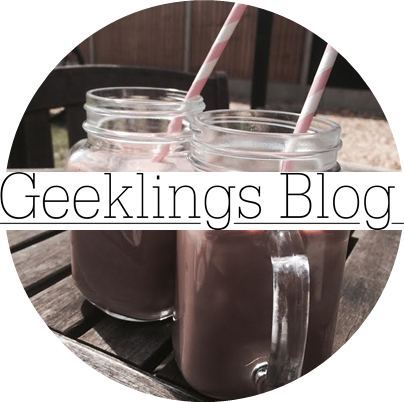 Geeklings Blog x: Part of a New Group! Please don't get the impression from the title I have joined some boy-band (why did I choose boy-band!? I'm female!) boy-band girl-band! No I have actually joined Blog Lovin'. Which is a site that I have been aware of for a few years but don't really know much about. I know that it's for people who want to discover or follow certain blogs, but also for blog owners to let followers, well... follow them. I don't know if any of this is making sense but I joined it! *Releases party popper and does the conga round her house with her dog* Joking... my dog's feeling ill so he wasn't up to it... Today. Also, can I just say how lovely the Blog Lovin' follow me widget is? (Look to the right) It fits in well, I think. Happy about that. I'm currently working things out as I go along, so if you are an experienced Blog Lovin' user please help me out in the comments below. So far all I have done is followed a few people, claimed my blog (which kind of reminded me of when you are waiting for your suitcases to come out of the weird rubber-curtained abyss at the airports. Don't ask!) and then edited my profile slightly. So, yeah! A whole new beginning maybe... it could open a few doors! Or windows. Don't forget the windows. Ok. Bye guys! Signed, Geekling.